I'm sorry, but I have to say that I find this "Secretly Kept" 2018 subscribers gift a very poor choice indeed. For one thing, aside from the two prints and different sleeve, this 3-D Dance Mixes 12 inch was released as a promo back in 1988. So why on earth give it as a subscribers gift? What happened to the days of excitedly awaiting a Hasta La Vista Baby! CD, or a Melon Remixes For Propaganda CD? Instead, the money - making business that is U2 decide it would be a great idea to hand out vinyl (yet another of the plethora of pointless re-releases it would seem) that most people (myself included) won't even be able to play. Repeat subscriptions are expensive enough without this rubbish that most people will throw on eBay anyway in the hopes of recouping their subs. What can we expect in 2019... The U2 Talkie re-issue? 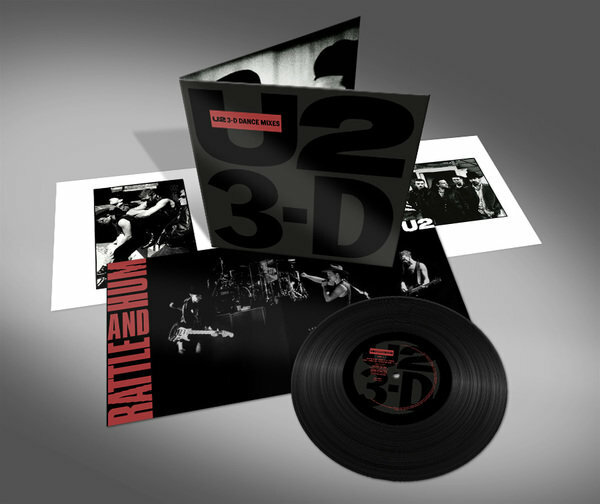 U2-2DATE re-issue? Some other crappy vinyl re-issue? Get your act together Bono and Co. and actually take a moment to read through a few of these threads eh? Very disappointed U2.com (yet again). I rather like the idea of this gift as it is a difficult item to find and not readily available to buy. there is an old saying you can't please all the people all the time. I like the vinyl gifts. 50 years from now these are going to matter. Anyone who pawns them off on Ebay is being silly. They matter now. I'm looking forward to leaving them to one of my Godchildren who will appreciate them. It's a way of passing down one of the greatest loves and enjoyments of my life. The only thing I don't like is I keep seeing 3-D. I freak out thinking it's Vertigo 3-D. I understand how some people may not like this. I thought The Joshua Tree vinyls were wonderful. I could listen to these but will not. They are being preserved for the future. I like them. They also make chronological sense., as it's now close to 30 years for Rattle and Hum.